At Guerra Paint and Pigment Corp.,we specialize in color. 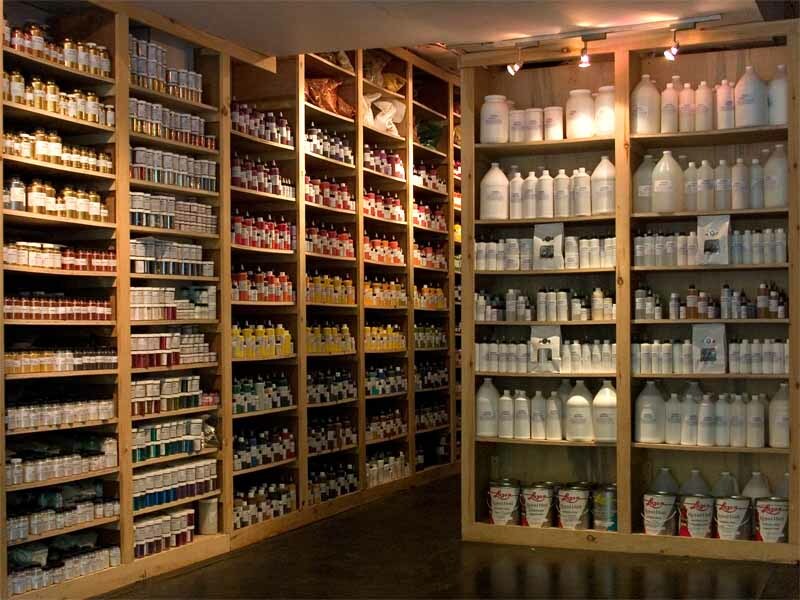 Since 1986 we have produced the largest selection of water based single pigment concentrates in the world. Our dispersions are made in small batches the old fashioned way in ceramic mills. Our large inventory of lightfast pigments which range from contemporary and historical, to rare and extinct are ground to the finest particle size. This method yields the brightest, most intense color possible. Guerra Paint and Pigment Corp. color concentrates go seamlessly into any water based binder (medium) of your choosing or may be used as part of our own paint component system of high resin binders, fillers and additives to create the best paint possible.